Modern society forces us to suppress it, and our refined culture makes us think it was never there in the first place, but deep down, we all wish we could know what it feels like to hunt a fellow human being. To test their need for survival against our thirst for sport. To hold their life in our hands and know that we are absolutely better than them in every way. Then, when we’ve snuffed out their very existence like a cheap candle and taken a trophy to place on our mantle of victory, we will truly know how it feels to be alive. 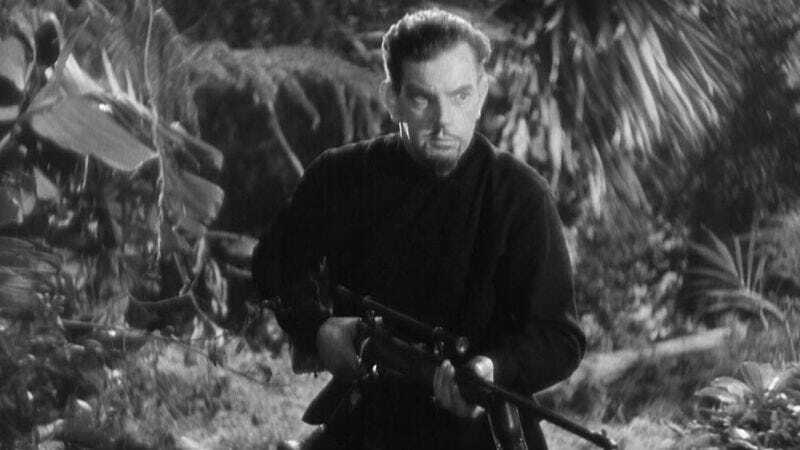 Finally, after generations of trying to ignore our impulses, CBS has announced a reality show in which people will be able to embrace their inner General Zaroff and go on a good old-fashioned manhunt. Well, not really, because this is the boring real world where people aren’t allowed to go on good old-fashioned manhunts on network television. Instead, the show will be more like an FBI-style manhunt, where amateur contestants try to evade professional investigators so they can win money. The relatively disappointing news comes from Variety, which reports this manhunt show will be called Hunted, and is based on a similar show that recently premiered in Britain. We think a lot of the thrill is sucked out when the contestants know that being caught won’t result in their death, but apparently the hunters will still use “state-of-the-art tracking methods” and “traditional tactics” to find the runners. This includes “searching the targets’ homes, scouring the internet, and tapping into cell phone histories” so the investigators can “identify behavioral patterns that will lead to clues and potential hiding places.” Suddenly, this sounds even more terrifying than the murder show we thought this would be.